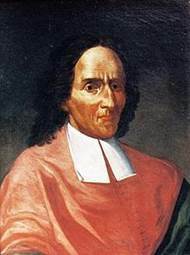 Giambattisa Vico (1668-1744) and a certain posthumous fame have appealed to such diverse thinkers as Jules Michelet, Friedrich von Savigny, Karl Marx, Benedetto Croce, Matthew Arnold and James Joyce. He has been regarded as the founder – unrecognized by his contemporaries – of the philosophy of history or even of social science, and as a man whose ideas anticipated such later intellectual movements as pragmatism, historicism, existentialism, and structuralism. This talk will strip away much of the myth which surrounds him and reposition him within a specifically Neapolitan context in which his anti-Cartesianism, or even post-Humanism, can be located in debates around jurisdictionalism and his positing of history as the only proper subject of knowledge. Central to this concept will be how historical processes are predicated on his highly eccentric articulation of providence.